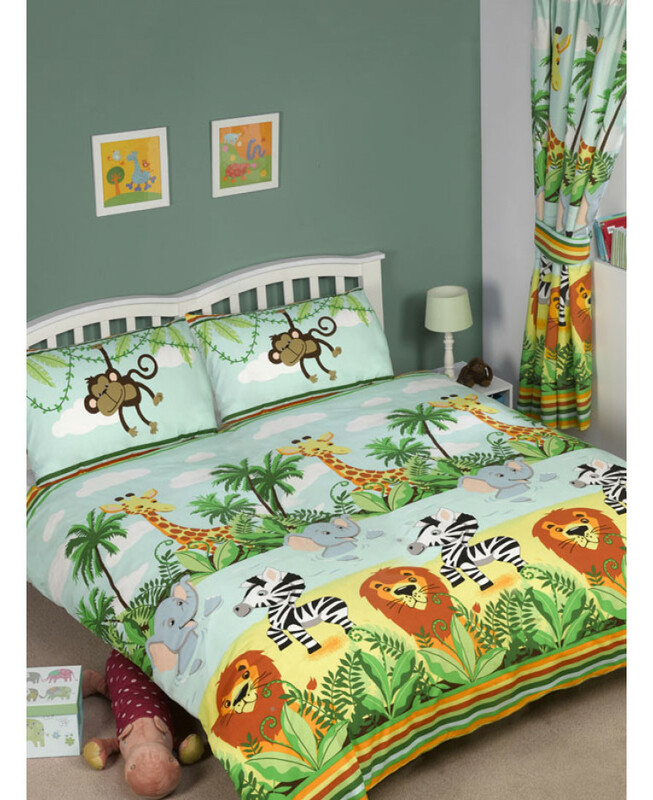 Our Jungle-Tastic double duvet cover and pillowcase set is the ideal bedding set for little wildlife fans! 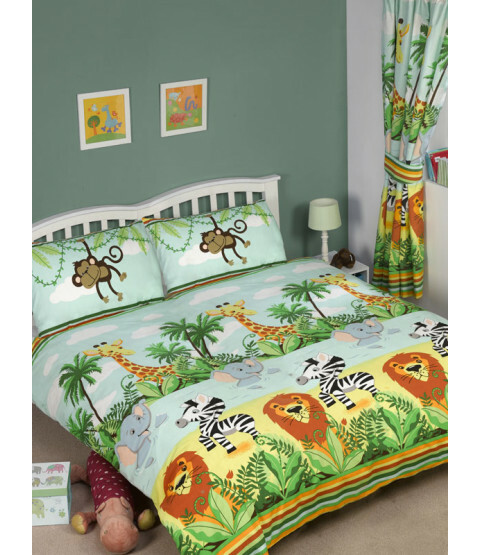 The fun design features a collection of colourful animals including lions and zebras set on a jungle themed background, with a cheeky monkey on the pillowcases! Made from a polycotton blend, this set is suitable for machine washing and tumble drying on a low setting. 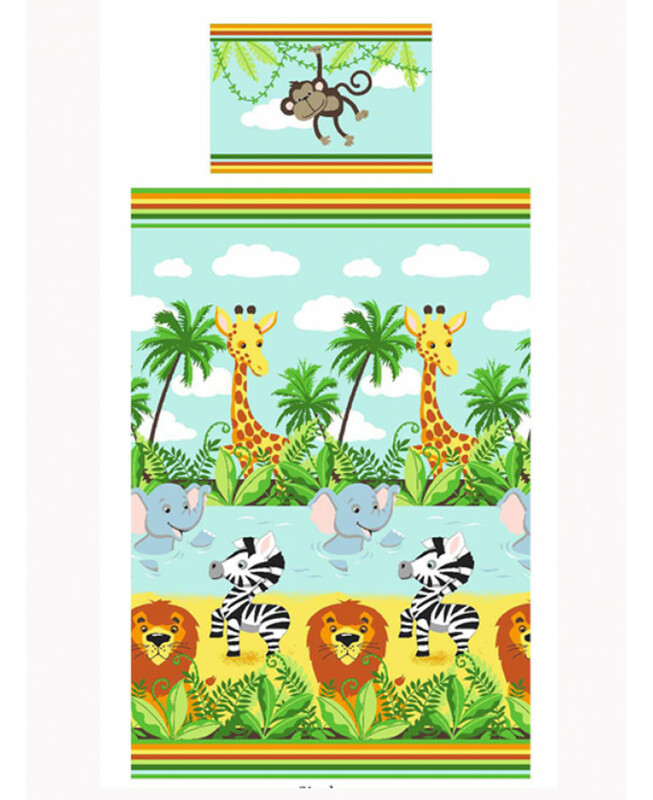 Why not complete the jungle theme with the matching curtains and wallpaper border also available from our website.